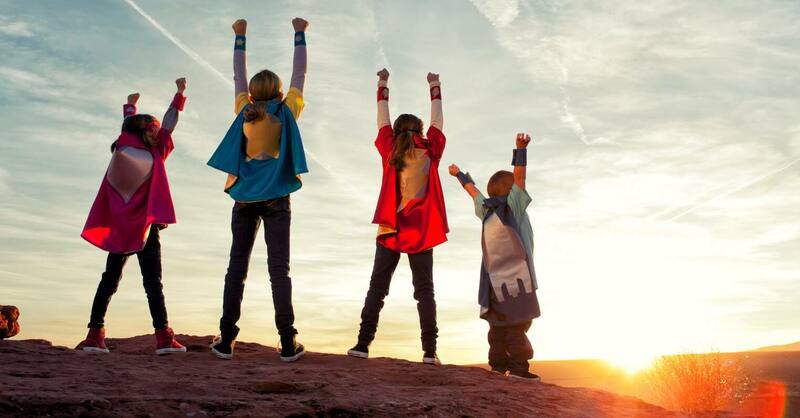 Your school is a planet and it’s up to you to keep it safe. Find out what’s affecting energy use and make plans to save the future by becoming more energy efficient. Then visit other planets in the galaxy to see how your efforts stack up. 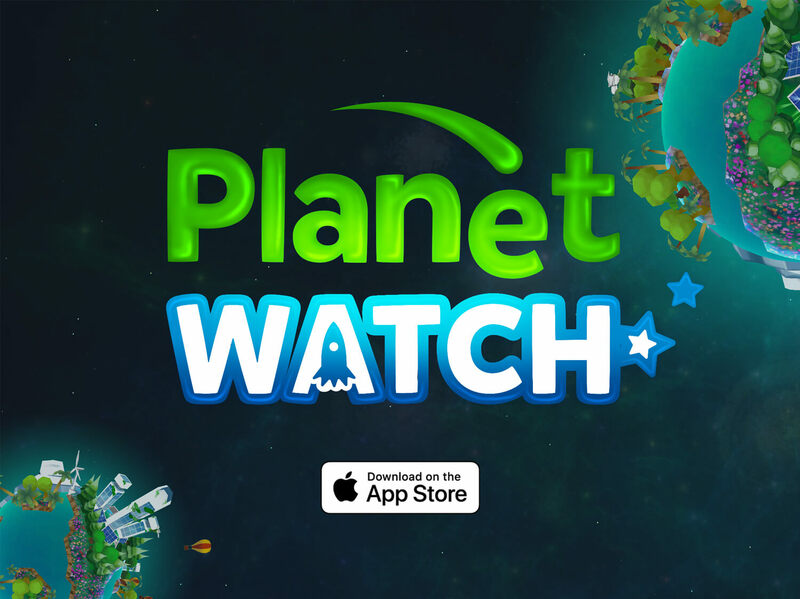 It’s time to make a difference and Planet Watch makes it fun. Is your planet dark and dreary? Or is it green and peaceful? 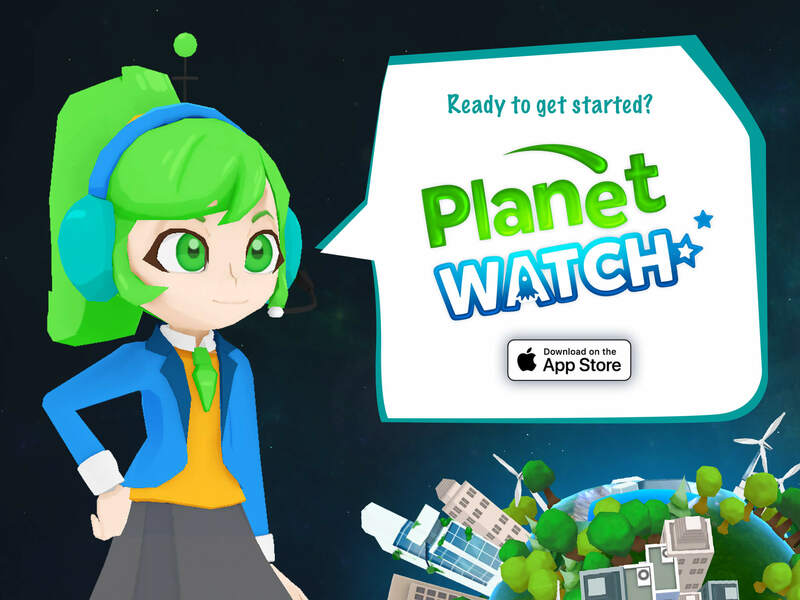 In Planet Watch, the energy-saving actions you take at school can be seen from outer space! 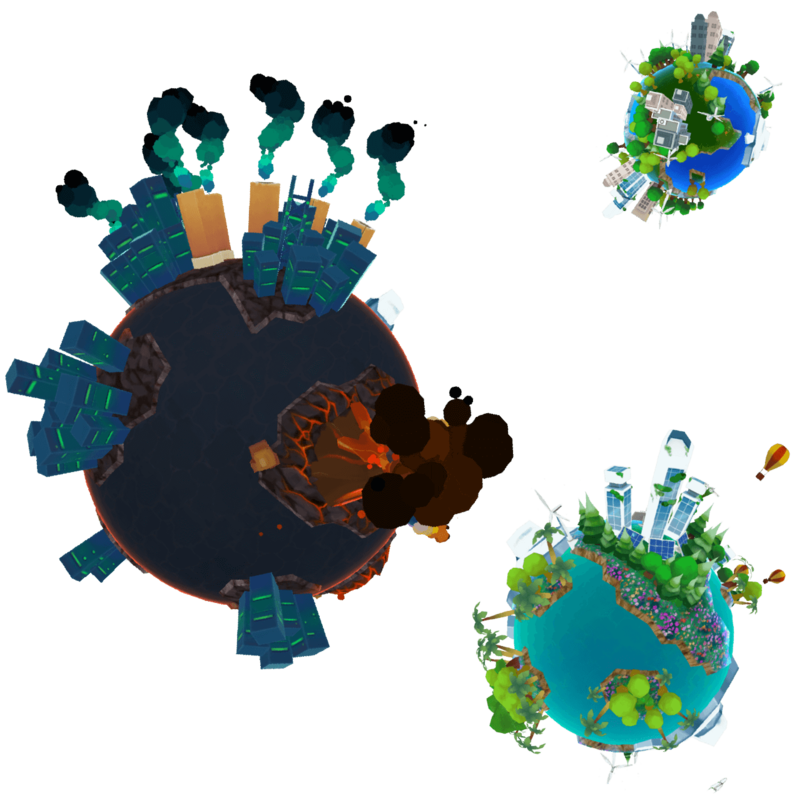 Help your planet move through the alert stages, becoming healthier and more sustainable every day. 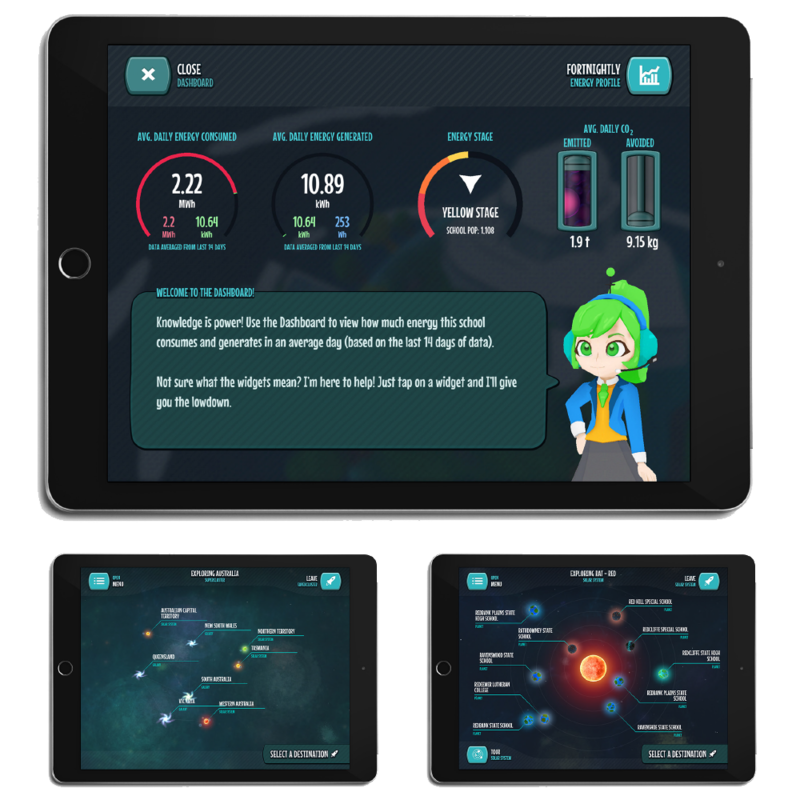 Planet Watch uses real energy data from your own school. Energy meters record energy use, as well as energy generated by solar panels. This data is captured by the Planet Watch app in real time. Choose to view data in live mode and you’ll see information captured over the last five minutes. Or get a bigger picture view using survey mode, which averages your data from the last two weeks. Planet Watch is offered to schools throughout the world as part of the Solar Schools educational program. By joining Solar Schools, teachers and schools get access to a comprehensive suite of teaching resources, digital tools and apps. The program is tailored to suit every year level, right through to year 12. 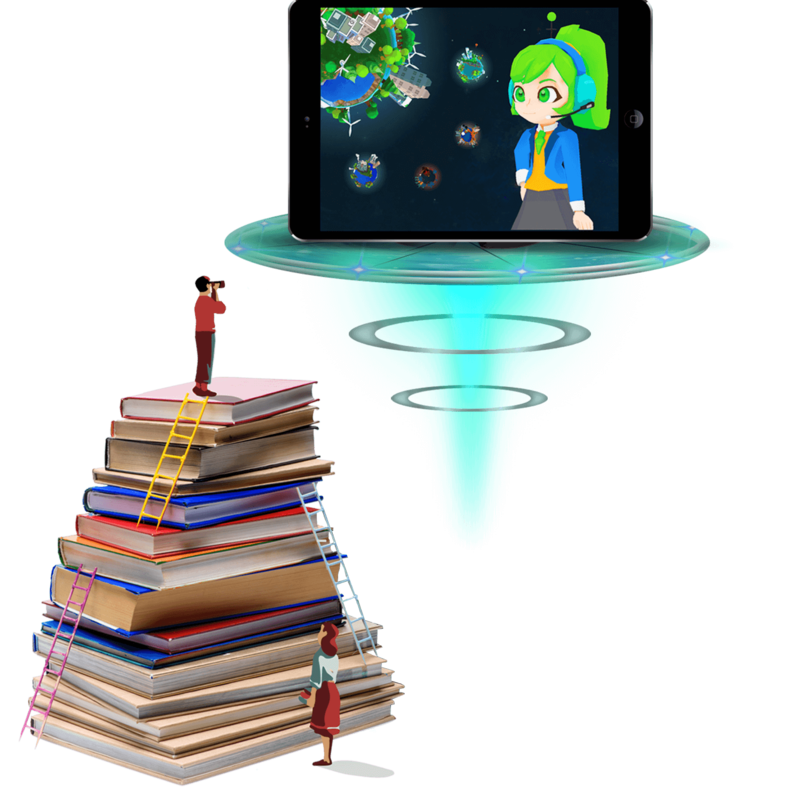 Using Planet Watch, Solar Schools combines gamification with practical application. Teacher training modules make it easy to bring Planet Watch and digital technology into the classroom. 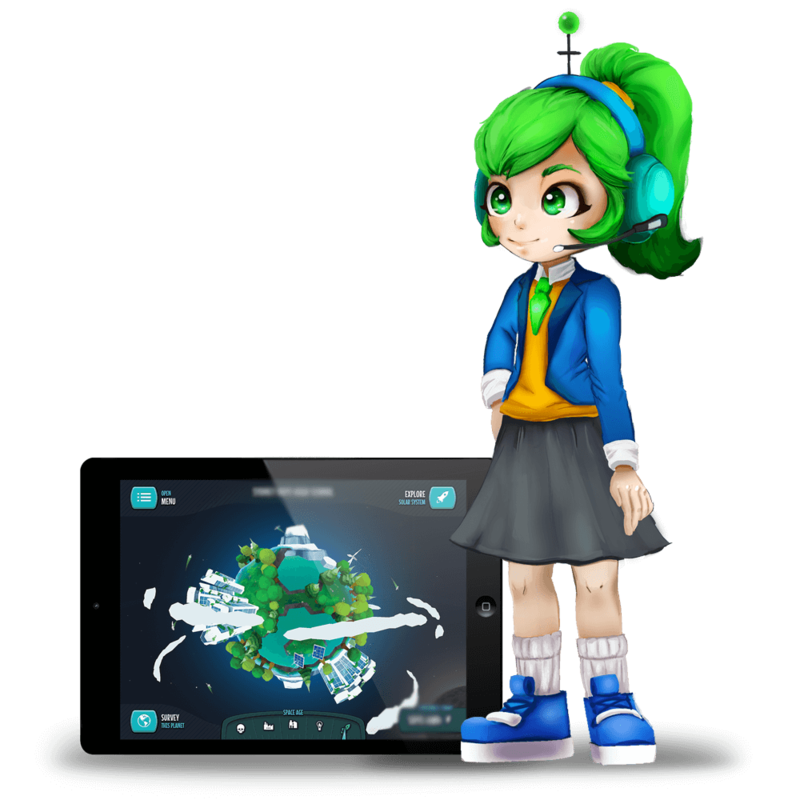 It’s an immersive, interactive learning experience that makes it engaging and exciting to learn about STEM (science, technology, engineering and mathematics).